There are all manner of meals you can prepare with shiitake mushrooms. Mushrooms offer extensive benefits, and they have become a must have ingredient in our kitchens. Aside from their versatility, they offer a great source of protein and can be grown at home quite easily. 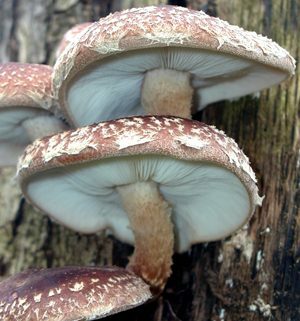 Shiitake mushrooms possess one of the most favourable flavours available and they embody a particular taste that cannot be found in any other plant based food. These particular mushrooms have increased in popularity in recent years. There was a time when they were widely perceived as exotic, but their benefits are now being realised on a large scale and more people are discovering how they can be a main ingredient in exciting and healthy meals. They are a nutritional powerhouse and provide a sumptuous and beneficial alternative to meat. 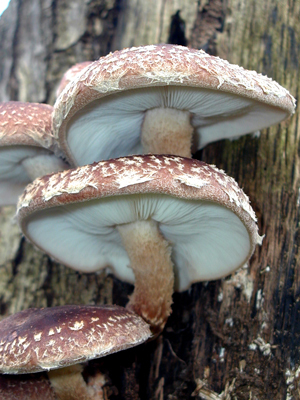 Shiitake stems do not soften and sautee as well as the caps and it is common to simply throw them away. The stems, however, can be put to good use. An extra tip is to freeze them and place them into home made vegetable stock for added flavour and protein. The great thing about the mushrooms is that they can enhance so many recipes. You can easily produce classic dishes that highlight the unique taste and meaty texture of the mushrooms. They have a particularly robust flavour which means that they can go a little further throughout the cooking process. The mushrooms offer an endless list of culinary possibilities. From the classic Chinese hot and sour noodle soup to beef and potato stroganoff, you are sure to find a dish to suit every taste. For summer barbecues, consider a bacon and mushroom burger or mouthwatering mushroom kebabs. As the mushrooms are so flexible, they can complement a huge range of dishes, from Greek feta salad, to chicken stir fry to macaroni and cheese. The mushrooms make the perfect base for all kinds of soups, casseroles, risottos, pizzas, bolognese dishes and much more. If you wish to grow your own shiitake mushrooms, we can help you produce a nutritious and delicious yield. We supply the equipment and helpful guidance you need to become competent growers. We will help you quickly adopt the basics of mushroom growth which not only saves you money but offers you substantial dietary and health benefits.